From the Society pages: Botox on the Beach? 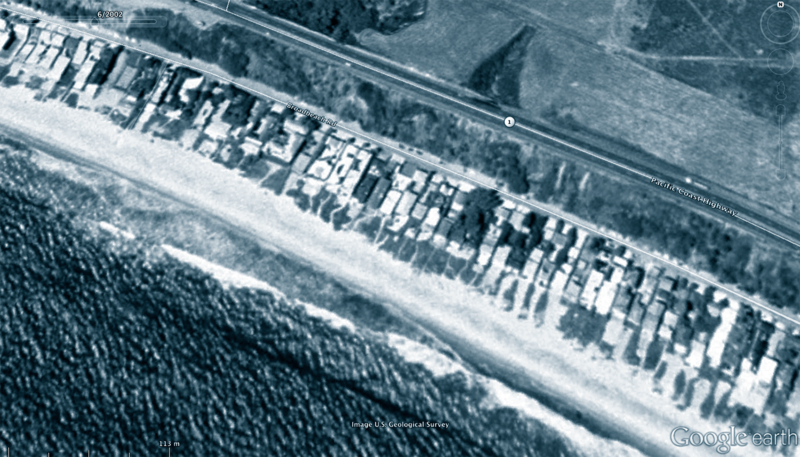 A recent article in the society pages of Vanity Fair details the woes of property owners along Broad Beach in Malibu, where the narrowing of a beach by 60 feet over the last decade has alarmed wealthy residents. 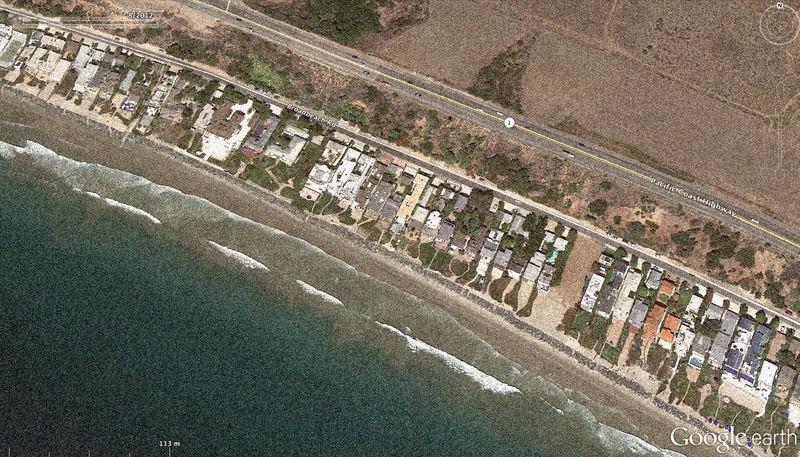 Property owners built a 13-foot high stone revetment wall to protect their houses. Now, they are planning to spend $20 million out of their own pockets to import 600,000 cubic yards of sand, hoping to widen the beach by 100 feet. Nor are revetment walls a real solution. Though they appear to protect property immediately behind them, they actually reflect wave energy to other parts of the coast, where erosion is then accelerated. At Creek Freak, one of my past criticisms of green street projects is that they don’t adress issues of alternate transportation. Wonderful “Green Streets” projects address rainwater issues. Wonderful “Complete Streets” projects address walking, transit, bicycling. But n’er the twain shall meet? Finally a local project has come across my desk that combines green streets and complete streets. 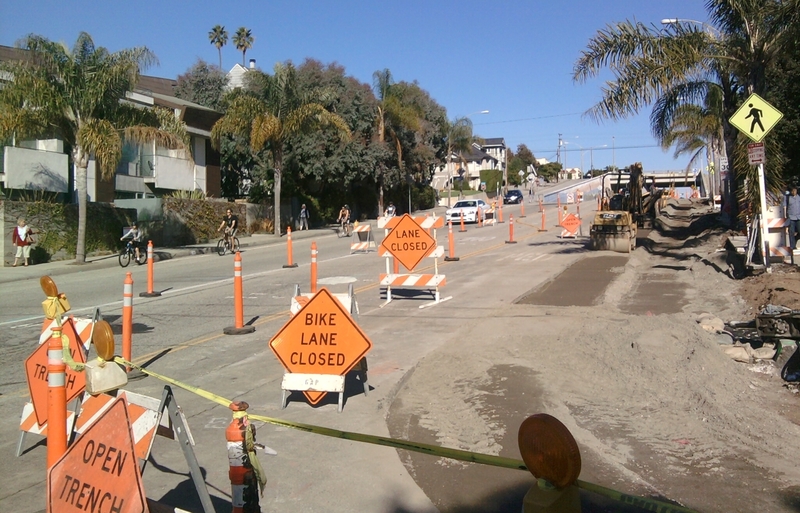 At this point it’s about a half year before construction starts, but Creek Freak is happy to highlight the city of Santa Monica’s Ocean Park Boulevard project. If you’re a Creekfreak, and you’ve not figured out where the water used to flow in your neighborhood yet, then this post is for you. From 2001-2003 I mapped the old streams and wetlands of the LA area in Illustrator, and began to lay them out for public consumption. And then got sucked into other projects. So here they are, in all their imperfection – but quite legible if you are a map reader. Just go to the side panel to the page labelled Find a former waterway or wetland near you! These maps are based on 62,500 scale 1896-1906 USGS maps, 1888 Detail Irrigation Maps, and slightly informed by later 24,000 scale USGS maps. The overlay maps are not definitive: the 24,000 scale maps, circa 1919-1930s, show streams not indicated on the earlier, larger scale maps, while showing at the same time considerable stream and wetland losses to development. In other words, I have a lot more drawing to do. Happy searching! And let us know what you think! You are currently browsing entries tagged with Santa Monica at L.A. Creek Freak.